This is my combat patrol force, they are not based but are painting is finished. 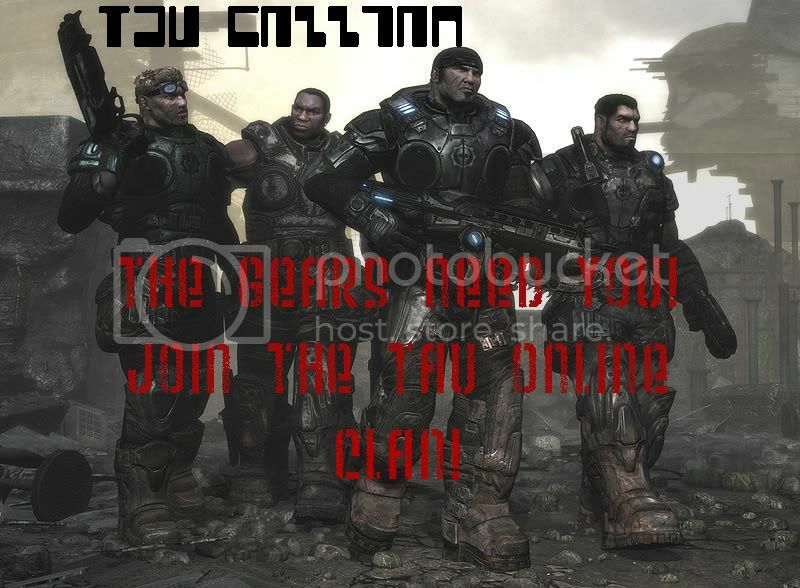 They are a crusading chapter that is connected to the iron hands. 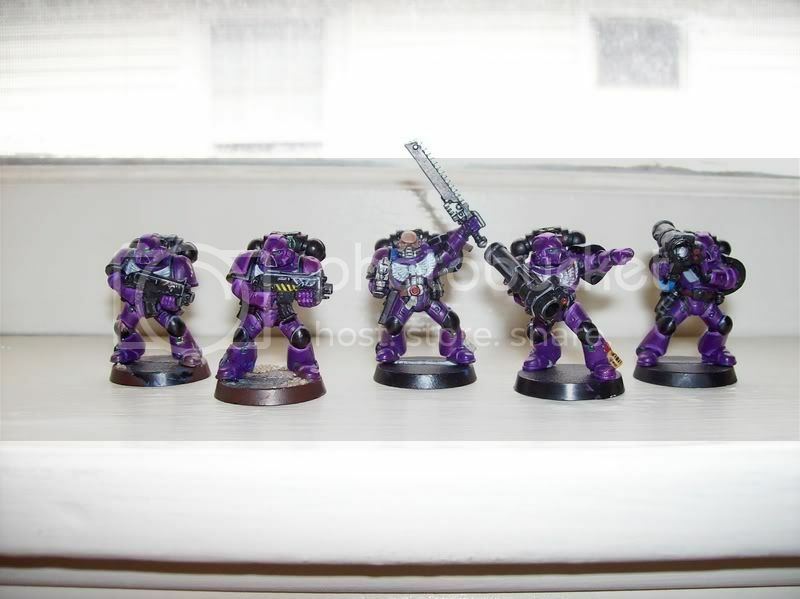 They are my second army and i really would love some feedback on the painting, also i would like a rating overall from 1-10 as it helps me guauge my improvement better than adjectives like good, great, horrible, okay. 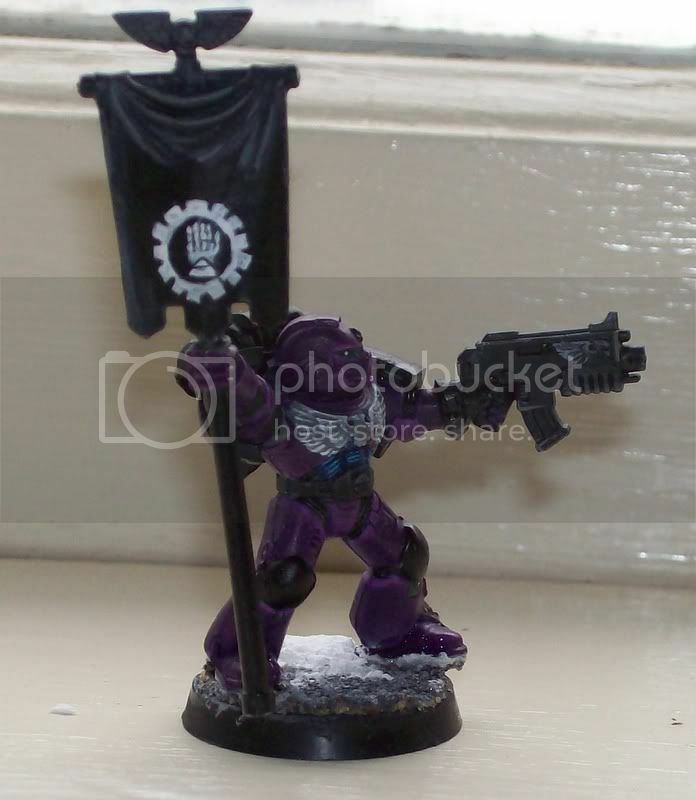 i really have worked hard on this army so far and cannot wait to continue it, i did base the standard bearer and that will be how the bases will look for the rest of the army, i know they are not done now so dont all comment on the need to base them, i am fully aware of this. 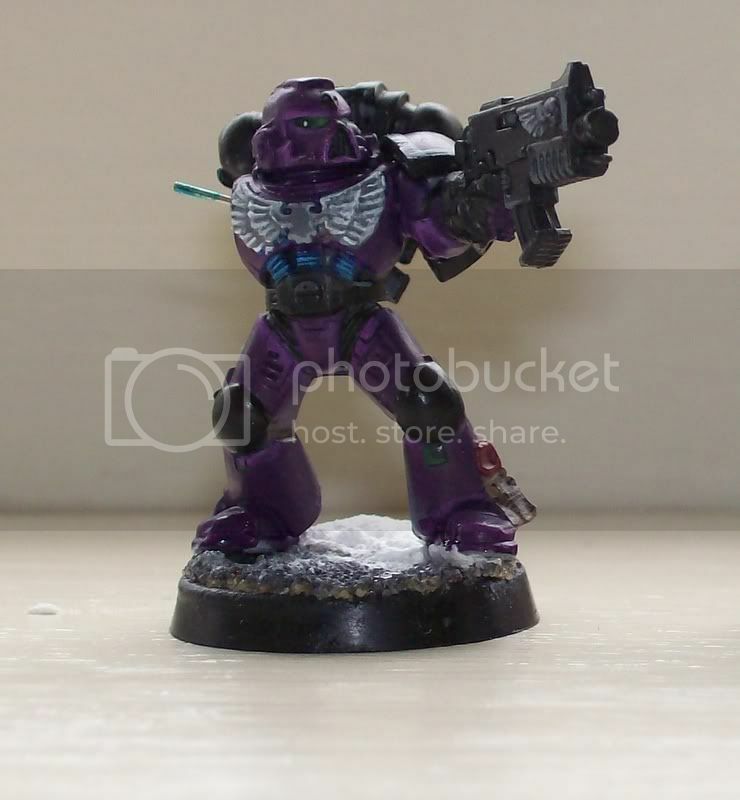 please respond with comments and critisisms, also i tried taking my pictures in natural light, save the devestator squad and would like to know if you like the picture quality or if you would of liked a pure white backdrop? I have to say that it is pretty nifty. I like your color choice, its not something that you see every day. "Use humility to make the enemy haughty. Tire them by flight. Cause division among them. When they are unprepared, attack and make your move when they do not expect it." I give them a 7 overall. I like the basing you chose for the standard bearer and I think the rest of the force will look fantastic once properly based. A few things could be neater but definitely a good looking force. 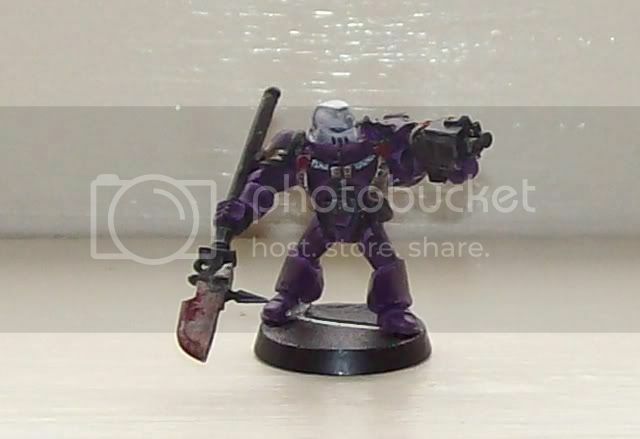 The red plasma effect looks great but I really like the look of blue plasma, possibly even green for your guys since green would contrast well with purple. The source lighting effect is nicely pulled off and it really enhances the model. 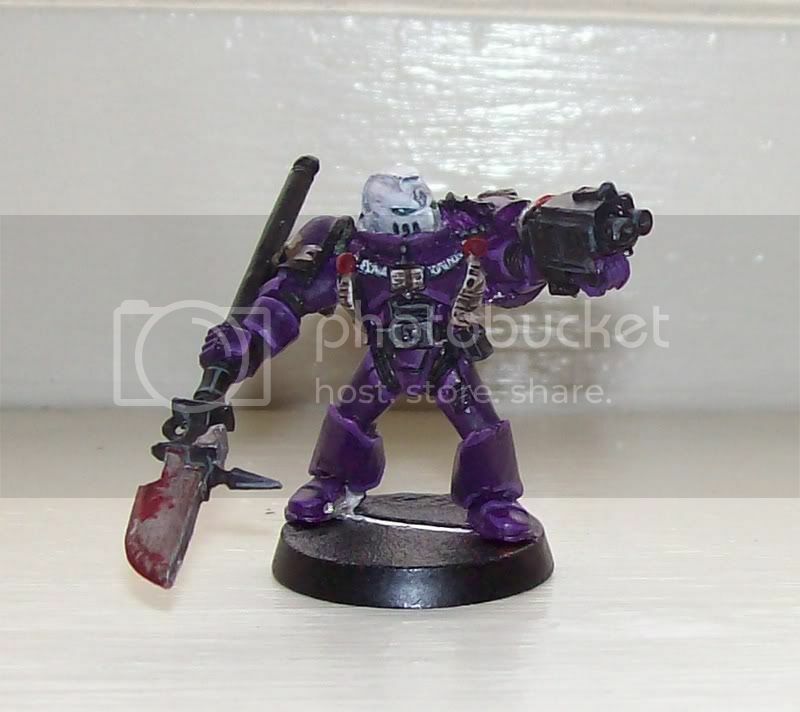 Good use of a grey knight too. Looking forward to seeing the terminators. A 6 from me now they&#39;re mostly finished and we can see them as a group. 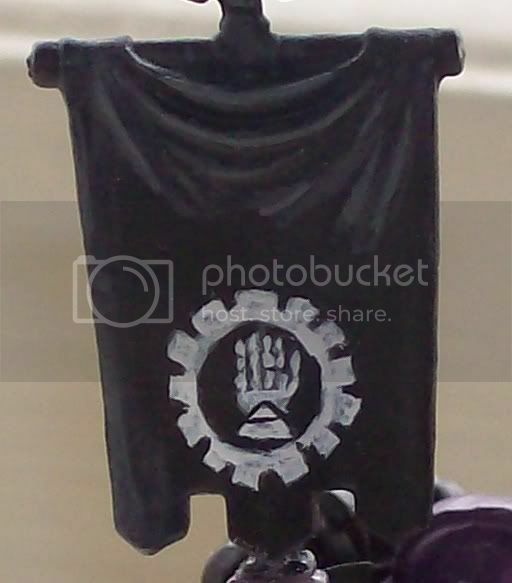 I like the standard bearer&#39;s lenses and (to a lesser extent) the freehand chapter symbol. I also still really like your extreme highlighting. However, that plasma cannon is a step beyond...he&#39;s fething awesome! 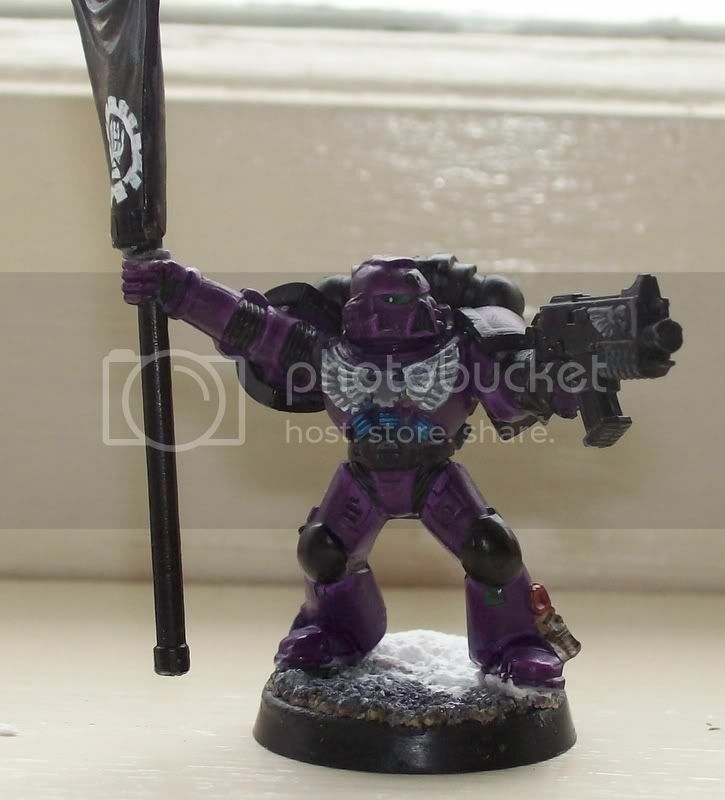 Really loving the warning stripes on the cannon and the glow effect is lovely (definitely stealing it for my Elysian plasma gunners). 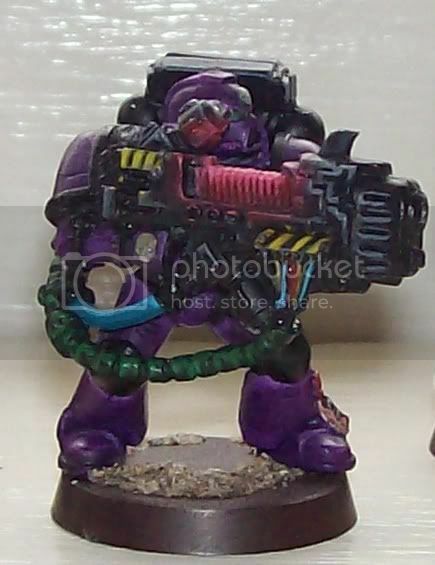 Why did you do the plasma gun blue though? Anti11es, I&#39;ve moved the tutorial part to the painting board.